The search engine might have its sights set on taking on Amazon. As reported by Reuters, they are collaborating with major US retailers Costco, Home Depot, Target, Ulta, and Walmart to showcase their catalogs online. 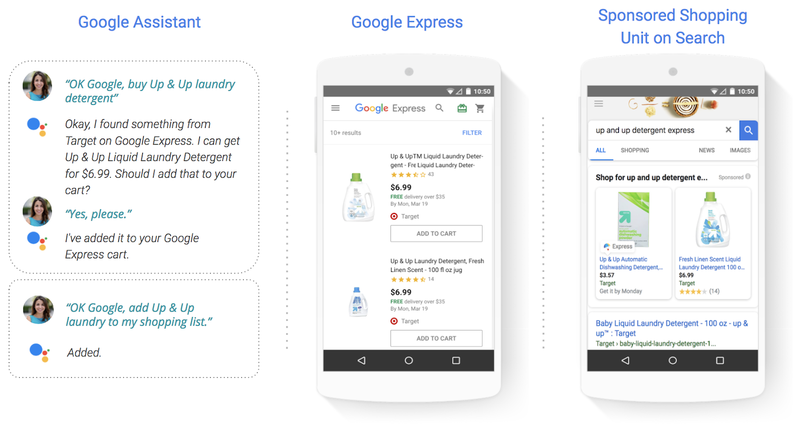 The program, called Shopping Actions, will let retailers list their products on the search engine, and on other Google extensions such as “the Google Express shopping service, and Google Assistant on mobile phones and voice devices.” For having their products featured the retailers will pay Google a cut from each purchase, instead of the usual advertising fee. Google says the listings under the aforementioned stores will be tagged as “sponsored shopping results” and will not change regular search results. The tech giant’s head of retail and shopping Daniel Alegre spoke to Reuters, saying the creation of Shopping Actions was prompted by an observation found by Google of receiving search results of products, followed by questions asking where they can purchase said product. Mobile searches of this had increased by 85 percent, Alegre says.